The Union of the Comoros is an archipelago in the Indian Ocean off Mozambique. This extremely isolated country is facing several challenges in meeting its population’s basic needs. Access to clean water presents a major public health challenge in the Comoros. The association 2 Mains has been involved in this area since 2012. In particular, the organisation has been working together with communities to develop a participatory structure for water services. Purification, management and awareness are the watchwords of the “Drinking Water for All” programme. By transferring the WATA technology developed by the Antenna Technologies Foundation to villages, the programme offers an effective, simple and standalone method enabling villages to produce their own sodium hypochlorite solution to eliminate drinking water contamination. Fifteen villages have already adopted this approach and have set up a water users association, with the aim of making the system permanent. The association 2 Mains played a role in drawing up the country’s first blueprint for water, for the East Mbadjini area. This document provides technical and financial guidance for local authorities and paves the way to begin construction work and draw up control systems suited to local conditions. A second blueprint for a different area of Grande Comore should be ready for use from early 2016, and the chlorinated water production programme that 2 Mains and Antenna Technologies have developed is due to be rolled out to existing supply networks, providing clean water to several different areas. Thanks to support from Antenna Technologies, 2 Mains has at the same time been trialling a water purification system in a number of village primary schools. The Moroni University Hospital Centre and other health centres on Grande Comore have already expressed interest in installing WATA kits for disinfection purposes. The newly appointed Water Services Office is linked with local authorities. It will be able to provide data storage and exchange services, as well as capacity building and advice for the various parties seeking to invest in this area. 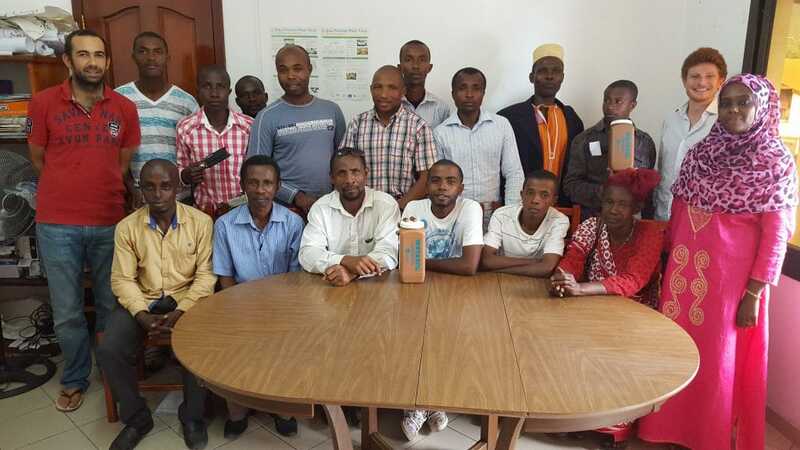 The collaboration that 2 Mains and Antenna Technologies have undertaken in the Comoros has already been recognised, as one of the 100 Innovations for Sustainable Development at the African Forum held in Paris in December 2013.